Jamie Milne is the epitome of commitment. He's run the length of the South Island in New Zealand, he's run the length of Scotland, Cairns to Townsville, The length of the North Island in New Zealand and most recently got the world record for burpees. He's also recently won a crossfit competition and is currently training for his latest expression of fitness enthusiasm and charity. He's running around Tasmania. ​Having come from a Crossfit background, Jamie has been immersed in Paleo eating for nearly 10 years. 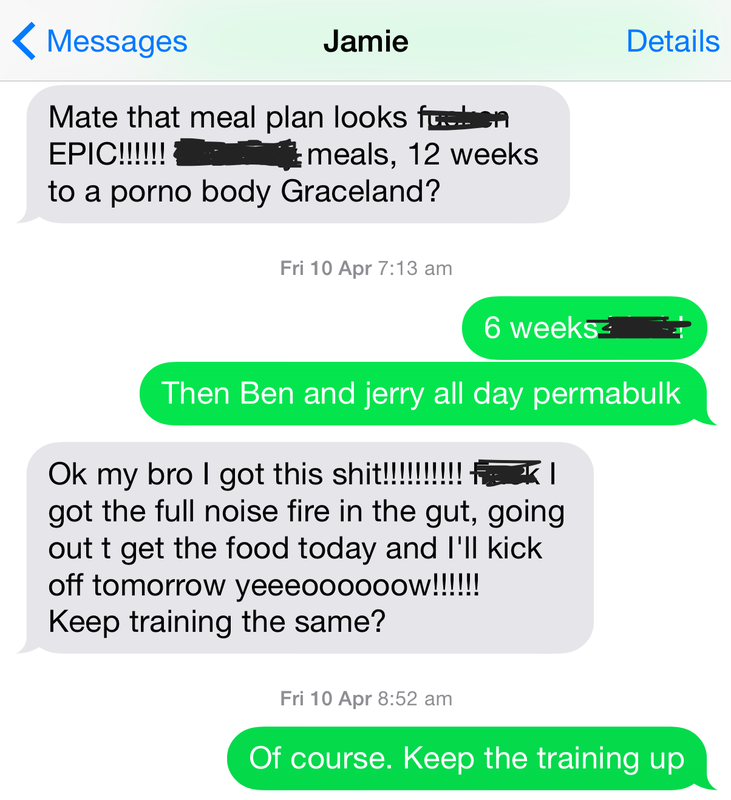 When he called me one day to ask me if we could do one of these "flash new meal plans" for him, I wasn't surprised. See, we too were paleo aficionados before we discovered and wrote about the Math diet. You could say that we still are. With the exception of oats, rice and my supplement fetish, our house is pretty much paleo. But like Jamie, we had become frustrated by the lack of results we had gotten from Paleo. It helps you lose weight, for sure. But how much is unknown, and when it will stop is unknown. Another drawback is that because nothing is measured, we were eating way too much fat, and way too few carbs. Performance in all our sports was lacking. As Jamie puts it, it was like running a sports car on diesel. With a non analytical, non mathematical diet, you simply can't extract the full potential from your body. 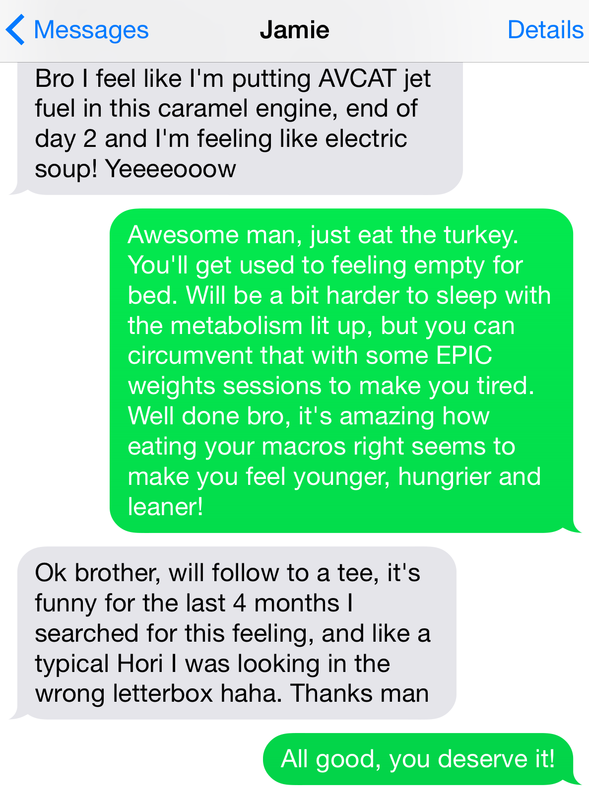 So it was with great excitement that I hit send on his meal plan and waited to hear from him.​.. I asked him if I could interview him, and in typical Jamie response he asked if I could meet him at 4am outside a toilet block half an hour from where I live. "Bring coffee," he said. When I got there, nobody was around. Which is to be expected, since it was 4AM on a Tuesday morning and it was raining. It wasn't long until our hero arrived though. Like an apparition, he appeared through the darkness. "Of course! "​ I said to Alexis who was my co-conspirator on this cold and wet morning. I was so surprised that I had forgotten to hit the record button when I asked him where he's run from. "b-but Jamie, that's over 40k away." "yeah," he replied as he took the coffee from me. He had the 40k to get back home before his 3 year old son woke up. 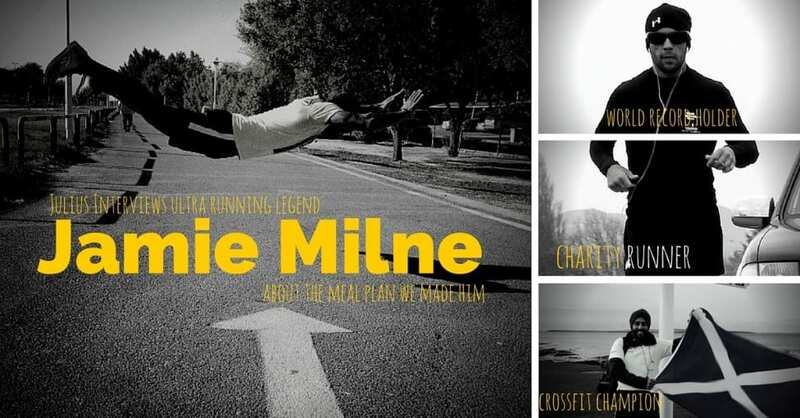 to find out more about Jamie, head to his website Jamie Milne﻿ Training.